 This is the only way to draft from abroad without becoming an Israeli citizen. To start the drafting process, you must reach out to Mahal and apply to their program. Once you have fulfilled all of the requirements, they will set up an interview with you. This interview is in person therefore you will need to be in Israel. It usually takes place about a month before the start of the program. There is a four-week program in which you will learn Hebrew and improve your mental and physical preparedness in anticipation for your upcoming draft. During the course of the program, you will be taken to your tzav rishon and assisted with the draft process until your first day of the army. The only responsibilities you will have is to apply for health insurance and find a place to live, beginning with the day you land in Israel. Only Jews can apply to Garin Tzabar, either from abroad or from within Israel. Keep in mind that you will only get a free flight to Israel through The Jewish Agency if you are making aliya from abroad. Once in Israel, you will be placed on a kibbutz and hosted for 3 months until your draft. During these three months you will have a family with whom you can eat, hang out and make the connection as strong as you like while learning about the army and improving your Hebrew. You will also be helped with your tzav rishon and be able to create a home and community of friends to share your experiences on this journey. You will be allowed to stay on the kibbutz until the last day of your service, some kibbutzim will allow you to stay a little longer if you get a job on the kibbutz. You must be in Israel as a citizen to start the drafting process. You will need to make aliya first and only then start the drafting procedure. After making aliya, your draft date automatically gets set for a year from that day. However, if you do not wish to wait that long, you can fax THIS letter to Meitav: 037388880 or go into one of The Lone Soldier Center offices to get help. You will start the drafting process at your tzav rishon in the Lishkat HaGiyus (the recruitment center). There are five different recruitment centers around Israel and you will be asked to come to the closest one to your residence, according to address listed for you at the Ministry of Interior (address written on your Teudat Zahut). This will also most likely be the location from where you draft. The next step is to wait for the Lishkat HaGiyus offices to send you a letter to come in for your Tzav Rishon (the day you are registered in the military system). The envelope will include a letter stating that the IDF is summoning you to your Tzav Rishon along with a medical questionnaire you need to have your general practitioner fill out prior to coming into the Lishkat HaGiyus. Keep in mind that this will be a long and stressful day, so it’s a good idea to bring something to do while you wait. Your Tzav Rishon is split up into four parts, or stations, that you will be required to go to throughout the day. They are in no particular order. The first station is a personal interview. Here you will be asked about your school grades, your parents, criminal history, your target job in the army and such. A very important part of this interview will also be your Hebrew exam. This exam is relatively short, however very important. ***Your Hebrew exam score isn’t revealed to you. Nevertheless, you should know that the score is out of 9 and if you get a 5 or below, you will be drafted to a Hebrew course in Michve Alon (an educational basic training base) for three months at the start of your service. You can request to retake your Hebrew exam half a year after your Tzav Rishon if you have not yet drafted and have attended an Ulpan course or can prove that you’ve improved your Hebrew level since your Tzav Rishon. The second station you will go through is the medical assessment. In this station, your medical profile will be determined. You must be completely honest about your medical history with the doctor. Your medical profile numbers will determine what jobs you are suitable for in the army. The highest profile you can get is 97 and the lowest is 21 (exempt from service due to medical reasons, but in certain cases, you can voluntarily serve in certain positions). The third station is the psycho-technical exam, taken on a computer. It is really important that you take the exam in the language you are most comfortable in (languages offered are: Hebrew, English, Arabic, Russian, French and Spanish). You must do your best in the exam as it will have an effect on what jobs you will be able to go into when you join the IDF. The last station is a meeting with a Mashakit Tash (army social worker). She will assess your background to see if you will receive certain benefits from the army and she is also the person who will determine your status as a Chayal Boded (Lone Soldier). There is one more station only for boys – an assessment by a psychologist. At this station, they will determine if you are mentally prepared for certain positions in the army (mainly in combat). Within two weeks of completing your Tzav Rishon you will receive a text with a link to access your online file where you will be able to see three numbers. One is your Kaba, one is your Dapar and the last one is your medical profile. These results are really important for proper job placement when joining the IDF. Kaba is a number between 41 and 56 that summarizes the results from your personal interview and somewhat your computer generated psycho-technical results. The higher your Kaba score is, the more advanced jobs will be open to you in the army. Note that if you get lower than 52 you will not be able to go to the officer’s training course. Once this number is determined in the Tzav Rishon it cannot be appealed or changed at any time during your service. Dapar is a number out of 90 in increments of 10, it is the direct result of your psycho-technical exam. Just like the Kaba, certain jobs have a specific Dapar score requirement. The higher your Dapar is, the more job options will be opened up to you. In order to qualify for the officer’s training course, you need at least a 60 as your Dapar score. Appealing your Dapar score is very rare and very difficult. It is usually requested once you are already in your unit and want to go to the officer’s training course if your Dapar score is close to 60 but too low. It is never guaranteed that this request will be approved – you will need to push and have a lot of luck. Medical Profile is a number between 21 and 97 that generalizes your health status. Your medical profile number can be appealed within 30 days of receiving it with the appropriate documentation requested by the army. Note that this number, unlike your dapar and kaba can change throughout your service, depending on any health changes that may occur during your service. The minimum profile requirement for combat is 72. After completing your Tzav Rishon you may be called in for Miyunim. These are days when you are called into specific bases throughout the country where soldiers from the specific unit conduct further interviews or evaluations to see if you fit their unit. You may also be called in for official testing. These miyunim are very common for intelligence units and special forces combat units. In addition to Miyunim for special forces units, you will be called to Yom Sayarot or Gibbushim (sometimes even after you draft). These days are filled with physical and mental testing to examine if you are prepared to undergo the training and day-to-day service in special forces such as; Shaldag, Chovlim (Navy), Taiis (Pilot), Sayeret Matkal and others. Girls, under age 21, will have to go through an additional mandatory Miyun called Yom HaMeah. This is an evaluation day run by a company outside of the army. You will be required to accomplish various tasks that evaluate your social abilities such as teaching, teamwork etc. The last step before you draft will be waiting for (and receiving) your Manila – a list of jobs that are open to you based on your scores from your Tzav Rishon. On your Manila, you will rate the 8 or so jobs with your preference high to low. From there, you send the form to the army, and then wait for your job and draft date. To find out what to bring on your draft day click here!